There are only an estimated 180 Florida panthers left on Earth, pushed to slivers of land that total just 5 percent of their historic range. 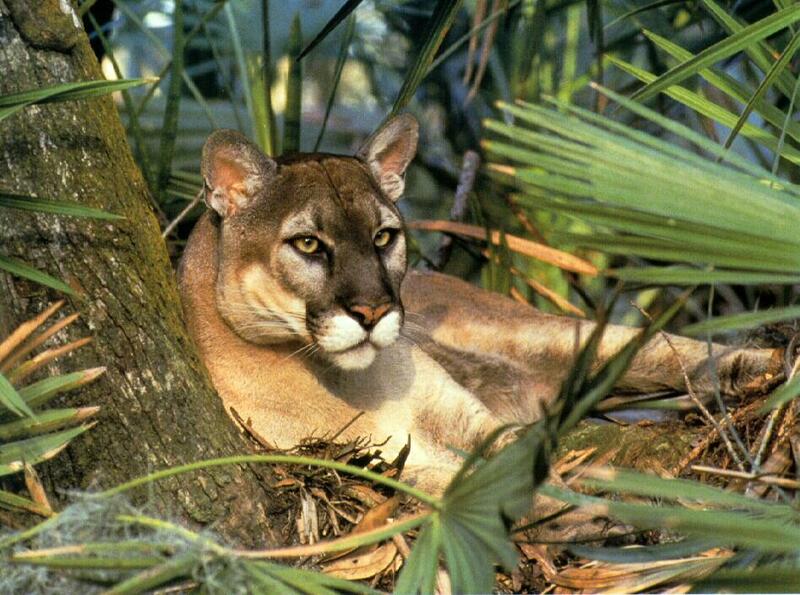 The Eastern cougar was declared officially extinct last month. The window of opportunity to protect their Florida panther cousins from the same destiny is very short. According to the U.S. Fish and Wildlife Service, there are only between 120 to 230 adult and sub-adults left (this number does not include kittens still dependent on their mothers, and whose chance of survival is slim). The Nature Conservancy estimates the number at 180, making them the one of the most endangered mammals on the planet. The current largest threat to Florida panthers comes on four wheels, the Scientific American reports, with between 10 and 25 percent of their tiny population wiped out every year by cars! To provide more habitat, the non-profit environmental organization is calling on Congress to fully fund the Land and Water Conservation Fund. Sign the petition here. Without additional funding, the organization says, prime panther habitat like the Everglades Headwaters National Wildlife Refuge and Conservation Area and the Florida Panther National Wildlife Refuge will continue to go unprotected. Political winds change but extinction is forever… We must protect them and other creatures who need a safer place to live. Please provide funding so that protected lands can help save our precious panthers.